Vision is an interesting thing. For instance, did you know that according to the Vision Council of America, about 75% of adults use some form of vision correction? 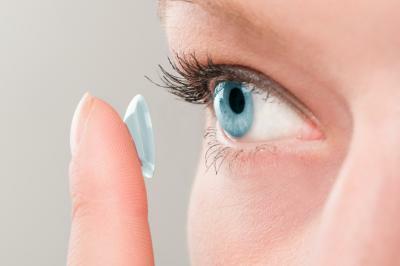 About 64% wear glasses and 11% wear contact lenses exclusively or with glasses. Meanwhile, research by the National Eye Institute finds the top three most prevalent adult vision impairments and age related eye diseases in America are: cataracts (24.4mm), diabetic retinopathy (7.7mm), glaucoma (2.7mm) and age related macular degeneration (2.1mm). There are certainly lots of things to think about when it comes to vision. In the community banking world, many management teams we know have been "re-envisioning" where branches are going and what they are going to look like when we all get there. While bank branches have been closing on a regular basis in the industry, there are some banks that have found new ways to leverage their square footage. It has been reported that Capital One opened locations to promote its internet financial brand which look more like cafes than banks - free wifi, coffee and baked goods are offered up. Of course, if you want financial assistance, their "ambassadors" are standing by with a tablet to assist you. Oregon-based, Umpqua Bank takes it a step further as it offers yoga classes, meeting rooms and free reading material at some of their branches. According to the VP of corporate communications, the idea is to be a "community hub" where people will want to come and enjoy the services, including financial ones, of course. An Australian bank recently took its branch re-envisioning a step beyond even this. National Australia Bank (NAB) came up with a clever way to both use space at an existing branch and get customers up to speed with the world of virtual banking. NAB invested $6mm in its Sydney flagship branch to create a virtual-banking school. Walk into the branch and you'll find open-plan meeting areas, a café, and hands-on technology bars where staff members coach bank customers in doing things for themselves. If the model is successful, NAB plans to try it in other branches. These clever strategies look to the future by seeing technology and consumer interests as a single vision. Handling customer affairs digitally ties in well with their desire to deal face-to-face with someone they trust. The Fed says about 67% of millennials use mobile banking, and e-Marketer estimates that over 150mm adults will be digital banking customers this year. Clearly, there isn't the same need for physical bank branches that we once saw. Although branches are not going away all together, it may be time to brainstorm ways to creatively use your footprint. Maybe ask frontline employees where they are putting most of their time to get started. This is a good place to assess the types of transactions and activities your customers need. Once you are armed with this information, engage a team of cross-functional employees to discuss the best ways to service your customers with their needs (while also adding value to the bank's core business). Be sure to include frontline personnel on this team too, as they may see the best opportunities. Serving coffee may not be needed for your bank to grow, but adding a meeting room for small business clients could. Once you surface some options, start small and watch for the results. Yields declined 1bp amid an oil surplus and lower pending home sales. Deutsche Bank was fined $41mm and hit with a C&D by the Fed related to unsafe and unsound practices associated with AML law compliance and for not having an effective program to comply with BSA. The large fine is yet another warning shot to all banks that this area of regulatory focus remains a hot one that can have expensive and damaging consequences. Continue to beef up your activities around BSA/AML to avoid trouble. The Wall Street Journal reports that new data from credit scoring agency FICO finds the average credit score nationwide hit 700 in April, the highest level since 2005. 1) Doolin Security Savings Bank ($48mm, OH) will combine with Belpre Savings Bank ($48mm, WV) in a merger of equals. Research by S&P Global Market Intelligence finds the largest US banks by assets as of the end of Q1 in order were: JPMorgan ($2.55T); Bank of America ($2.24T); Wells Fargo ($1.95T), Citigroup ($1.82T), US Bancorp ($450B); PNC ($371B), TD Group ($371B), Capital One ($349B), Bank of New York Mellon ($338B) and HSBC North America ($295B). Dallas Fed President Kaplan said in a recent speech that he sees 2 more rate hikes this year and that he expects the Fed will gradually and patiently reduce its $4.5T balance sheet. Meanwhile, comments from Fed Governor Brainard point to support for hikes in Jun and Sep and a balance sheet reduction announcement in Dec.
Michael Kors Holdings said it will close 100 to 125 of its 550 (about 20% or so) full time stores over the next 2Ys, as it seeks to reduce costs.